Garage Door Security Tips | R&S Erection of Vallejo, Inc. 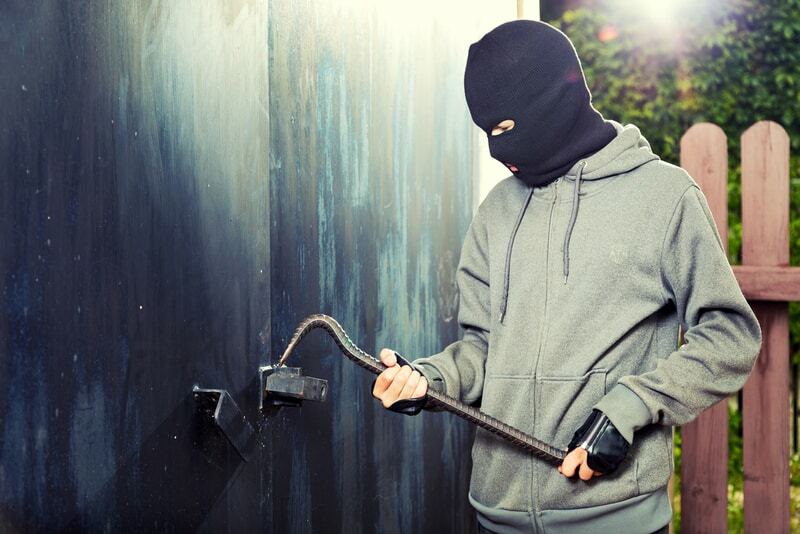 Securing your garage is an excellent idea. This goes without saying, but many people don’t choose to secure their garage for a variety of reasons, and this just ends up leading to problems down the road. In our garage, we often store our bikes and cars and a variety of other things that we use regularly. Some of us store lawn mowers and power tools and a wide variety of other valuable items. If this happens to be the case, then it is even more essential that you secure your garage and garage door; making certain that no one can break in easily and take off with your valuable possessions. To make sure that your garage door is safe and secure, we’ve compiled tips that we will go into detail about. Each one can be applied with just a little effort, and it would be wise to do so. The light fixtures that are in and around your garage are very nice and all, but for upgraded security, it is wise to have these things called motion detecting lights. You can probably guess what these are, but basically, these lights emit infrared waves that detect things like body temperature and any motion or movement. When these things are detected, the light turns on. This light stays on for a specific period and then it shuts off. If motion is detected again, the light turns back on. This is only logical, but make sure to keep the garage door opener – the key, really – with you at all times to make sure that no one can access it or open your garage door without you knowing about it. Too many people make poor attempts to “hide” the garage door opener that they own, but these attempts are often futile since they can easily be found and used. Therefore, try to keep your opener with you or in a safe place. This is a very simple tool that you attach to your garage. Once that is done, you’ll take the second part of the kit which includes a little monitor that flashes a light telling you if your garage door is closed or open. Most burglaries come from the fact that people accidentally leave the door open. So make sure that your garage door is closed and that no one can actually get in. You can easily find one of these at your local Home Depot or hardware store, and installation is generally quite simple. It does require a bit of wiring, but it’s not too complicated. If you look up “how to install an automatic garage door closer” on Google, you can find some excellent and quite simple tutorials that will allow you to do this almost effortlessly. One of the biggest benefits of having an automatic garage door closer is the fact that you can set a timer which will shut your garage door after it has been open for a certain amount of time. It’s best to set it for a rather short period. Some good curtains that you are unable to see through should do the trick. The darker the better. Just make sure that, while walking by, you can’t see inside. If you can’t, then that means no one else can. In any garage, the biggest weak spot is the service door. This is the door that you can find outside of the garage; it’s the entry door. Just like any other exterior door in and around your home, it should have a standard deadbolt, along with a heavy-duty strike plate. That way, if someone chooses to break in, they will find themselves having to put quite a bit of effort into that endeavor. I know this is common sense but make sure to close the door after you use it. Many people forget to do this, and while it is understandable, it is best to check and make sure that the door is closed properly. In the end, just use common sense and make sure that you have the right locks and your door is shut.